Drew Estate launched the now-legendary Liga Privada series in 2007 with the Liga Privada No. 9. Shortly thereafter, the followup sister blend debuted in 2009, with the release of Liga Privada T52. And finally, the year following, Drew Estate furthered its exploration into the rare, luxurious, and dense flavor profiles of Liga Privada with the alluring Liga Privada Único Serie, debuting in 2010 with the Único Serie Dirty Rat. These were precise blends which relied on particular vitolas to showcase a very specific flavor profile and smoking experience. 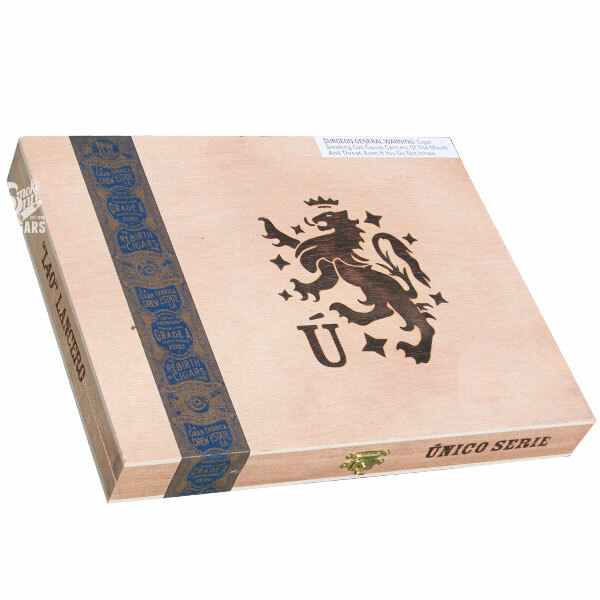 Unlike your average cigar line, where the blend is only slightly tweaked for each size, Único Serie cigars are built from the ground up to accommodate each vitola. The tobaccos used are not always readily available and the difficulty level is often much higher than regular Ligas, making for much more limited releases. Many of these factors have combined to make the Liga Privada Único Serie Drew Estate’s most sought-after cigars. Check back often, as these cigars are limited but in an ongoing production—meaning we will make stock available as we receive the seasonal shipments.